During the summer in Lapland, nature speeds up. The buds burst forth, blossom and then explode into a million vibrant colors. That’s how you’ll feel too! Have you ever seen the sun circling the sky above the horizon night and day? Thanks to the magical Midnight Sun, this experience continues 24/7 for about 3 months. This phenomenon is called the Nightless Night. What is the Nightless Night? Because the Earth’s axis tilts in its orbit around the sun, the far north and south of the planet get extreme winers and summers. This only occurs south of the Antarctic Circle and north of the Arctic Circle. 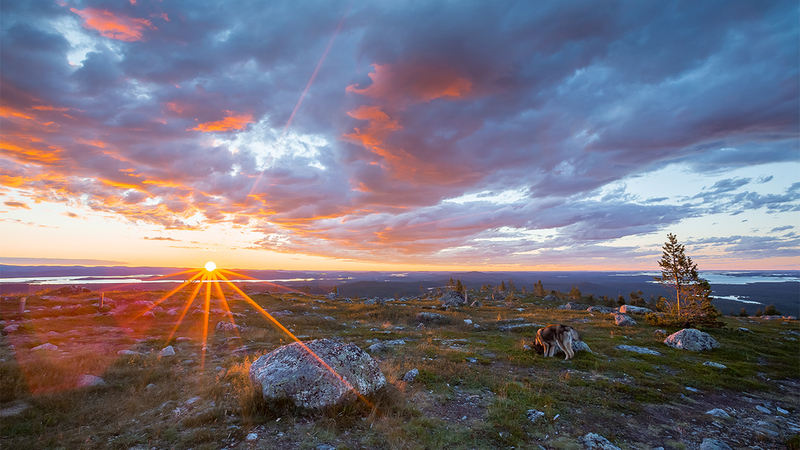 In northern Finland, the Midnight Sun lasts longer the closer you get to the North Pole. 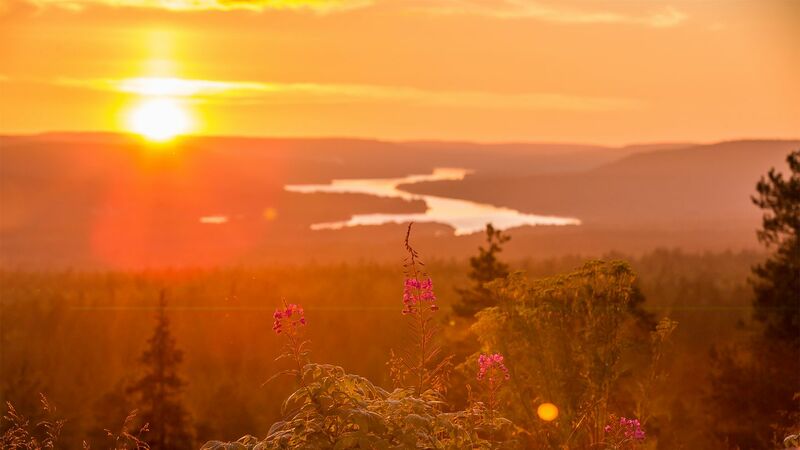 On the Arctic Circle, where Lapland’s capital Rovaniemi lies, the Midnight Sun stays in the sky, flirting with the horizon at “night” from early June until early July. 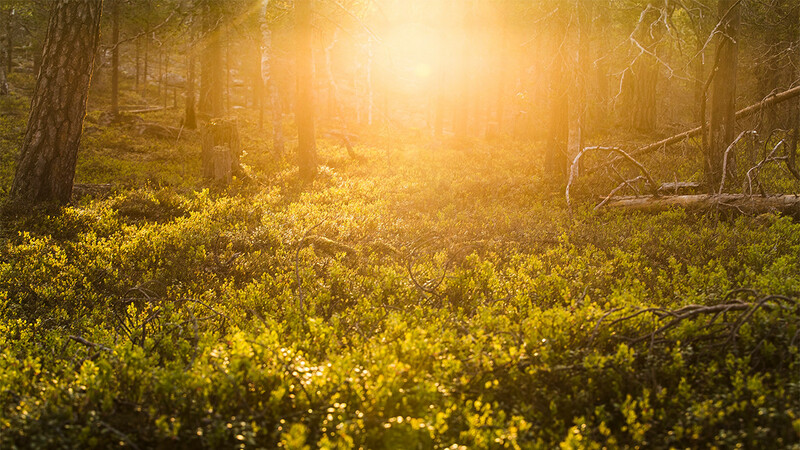 In Nuorgam, Finland’s northernmost tip, the sun shines for more than 70 days straight, in other words: all summer long. The phenomena of the Midnight Sun might still need a bit more clarification. It is not something that appears in the sky only at certain hours–you’re thinking of the Mundane Sun. Midnight Sunlight lasts the whole night through, and it has at least 50 different shades. That’s what makes it so magical. There are certain identifiable moments of light: the evening light around 9-10 p.m. gives you the feeling that your day is just about to begin. The Golden Hour is the period when the sun is about to set. Since the sun doesn’t really set, the sun stays above the horizon and paints everything with a burning orange color. The Golden Hour is especially beautiful near open waters like lakes or rivers, due to the brilliant reflection off the surface of the water. Finally there is “sunrise,” when the sun slowly starts to climb up from the horizon – around 1-4 a.m. In the early morning, there is already so much light, and nature is positively humming with life, the world bizarrely quiet yet alive at the same time. If you’ve ever wondered how nature differs at night, now you can see it firsthand, because the lights are constantly ON. What do I do with all the light? One of the best ways to enjoy Nightless Nights is simply to stay up and enjoy the mystical and surreal atmosphere. Wander through the wilderness, explore your Arctic surroundings, and see how the plants and animals make the most out of the short summer. If you are into photography, this is definitely something for you! One of the favorite way for Finns to enjoy this time is staying at a cottage. 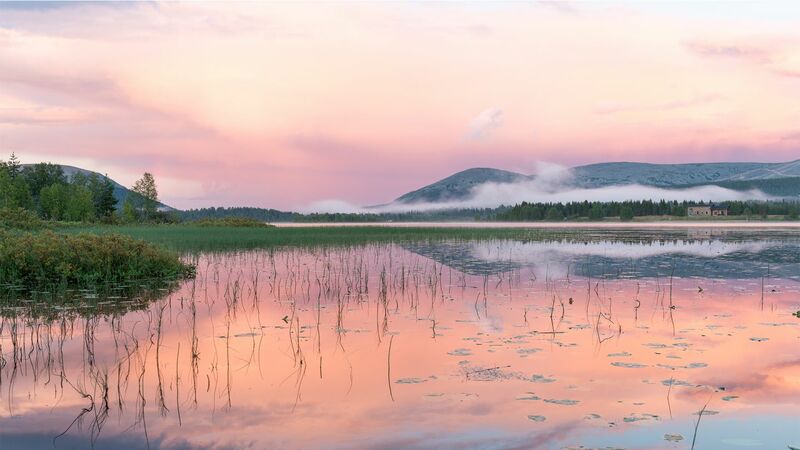 In the peaceful silence, you can experience true, northern style relaxation. The soft sound of nature combined with the revitalizing rays of the Midnight Sun is nature’s own remedy for the weary soul. Others prefer a different approach. 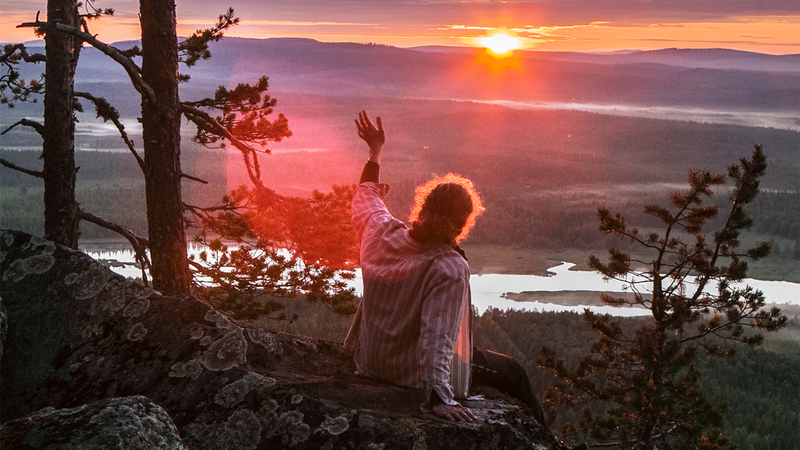 The Midnight Sun extends your day and gives you those extra hours you’re always looking for. Make use of them and go hiking, canoeing, fishing or play a round of golf in the wee hours. 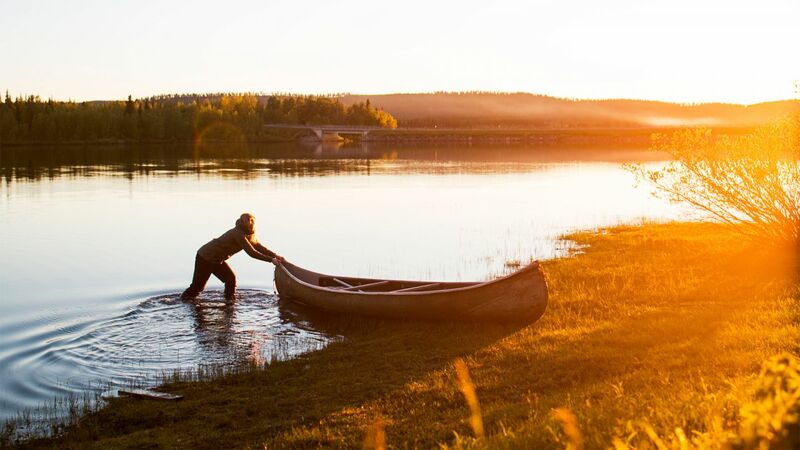 Summers in Lapland are like life–short, and you should make the most of both! A good tip is to use curtains and blinds. The Midnight Sun can make drifting off a bit harder than usual, but then again, why sleep at normal hours? There is a time for pillows and blankets and beds. It’s called winter – just ask the bears and other mammals that hibernate through it. Don’t worry about counting sheep; make the most of the Nightless Night! 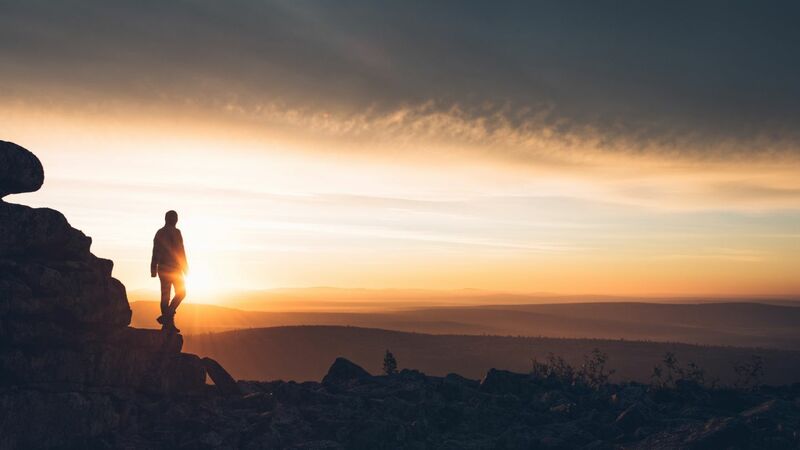 Do it like the locals and take part on the events like The Silence Festival in Kittilä in the beginning of June, the Midnight Sun Film Festival in Sodankylä in mid-June and Ihajis Idja in Inari in August. If culture is not your cup of tea, go for action: there are sporty happenings held everywhere in Lapland, where unique nature and diverse sports and leisure activities are combined. Try the Trail Run happening Nuts Ylläs-Pallas, Levi Outdoor Fest or NUTS Karhunkierros trail ultra in Ruka. For mountain biking lovers, there are many mountain bike contests all around Lapland, and a huge variety of routes in Ylläs, Saariselkä, Pyhä & Luosto, Syöte, Ruka and Salla.